Mountain Towns – There are so many of these from good size cities to very small towns that we could not begin to list them. Seaside Towns – Again way too many of these as well. These are towns that are on the sea and not in any other category above. Roma is the capitol of Italy and is a very cosmopolitan city. Roma has subways (the Metro), busses, and taxis. Driving in the historic central is difficult and illegal without a pass. If you are staying at a hotel in the center you can get a pass. Streets are crazy. One ways going against where you want to go. We once mapped walking to a place in Roma but had the GPS on driving by mistake. It took much longer to drive it than walk it. Walk with us in our video below and see the famous sites of Roma. Walk the small narrow streets and see the wide large avenues. Roma is to be studied slowly with a glass or two of wine. Study it, observe its people, enjoy its sites, marvel at its museums and pay attention to its fashion. Place your hand into the mouth of truth if you dare (Bocca della Verità). Firenze is another very modern cosmopolitan city with all the forms of transportation as Roma. The museums are unreal (the renaissance started here). A visit to Firenze is incomplete without a visit to the Uffizi museum. Learn about how the Medici leaders travelled in secret from their offices (Uffizi Museum today) to their palace (Palazzo Medici Riccardi). Climb the stairs to a vista overlooking the city central and walk across the Ponte Vecchio bridge. 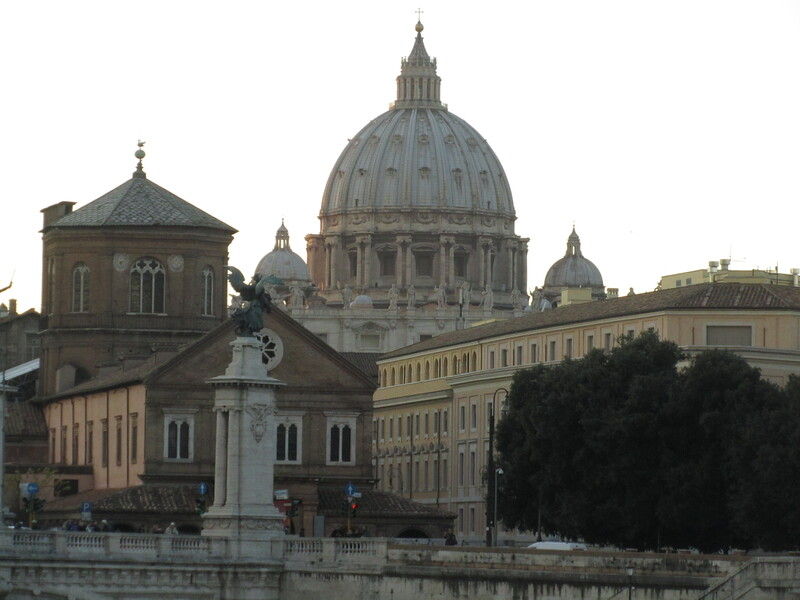 See Saint Peter’s Basilica and Vatican City (An independent country not part of Italy where the Pope is President). Come walk with us and see all of this and more in the video below. Which of these Italian Cities are your Favorites? For everyone that has been to Italy and wants to return, is planning a first trip to Italy or is just dreaming about a trip, These videos are for you. There are ten (10) videos below of 9 cities and a very interesting cave restaurant. Some cities are large others are small beach towns or mountain towns. Each Monday a new town is added. I explain things you need to know about Italy as well as taking you on a walk through each city. I hope you enjoy these vlogs. If you do, please share with your friends and like and subscribe to my YouTube Channel. We will not have a new VLOG on January 2, 2017 but will continue each Monday starting January 9, 2017. You can see the entire playlist on my YouTube Channel. 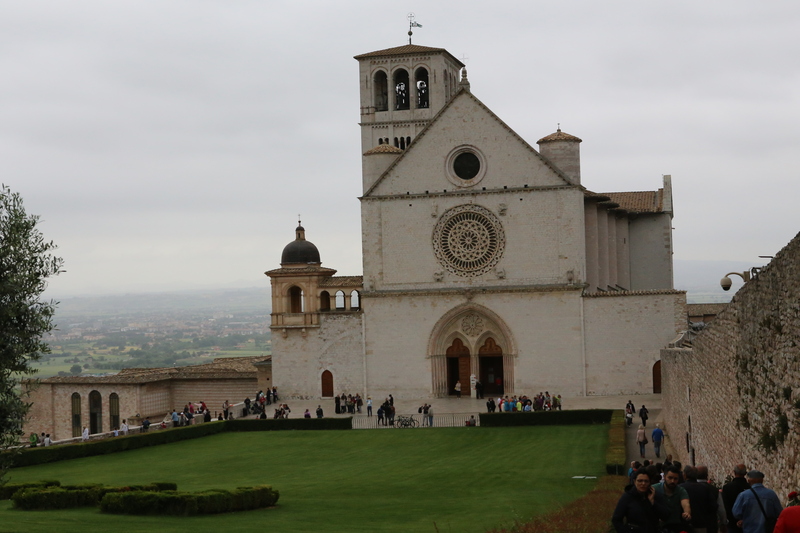 Italy is famous for many things but its churches are old and magnificent. They are not just churches but art galleries, studies in architecture and beautiful places to visit. They provide a cool atmosphere from the hot sun. The frescoes are wonderful to study, telling of story of days long gone. Every city has at least one church. 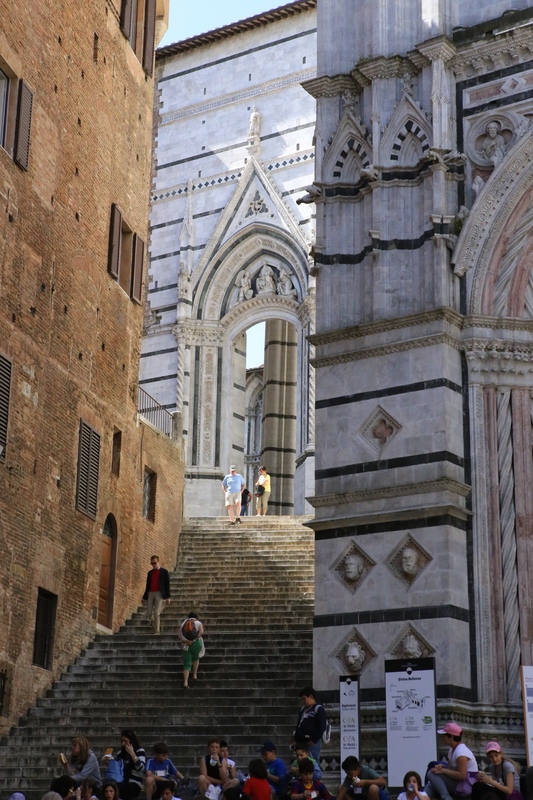 They may be called Chiesa, Catterdrale, Basilica or Duomo. Do not pass up a chance to visit one of these marvels. Look at the floors, the splendor of its height, the walls and stained glass windows. Look for frescoes and tapestries. The alters are magnificent. The organs are fantastic and even the pulpits can be ornate. 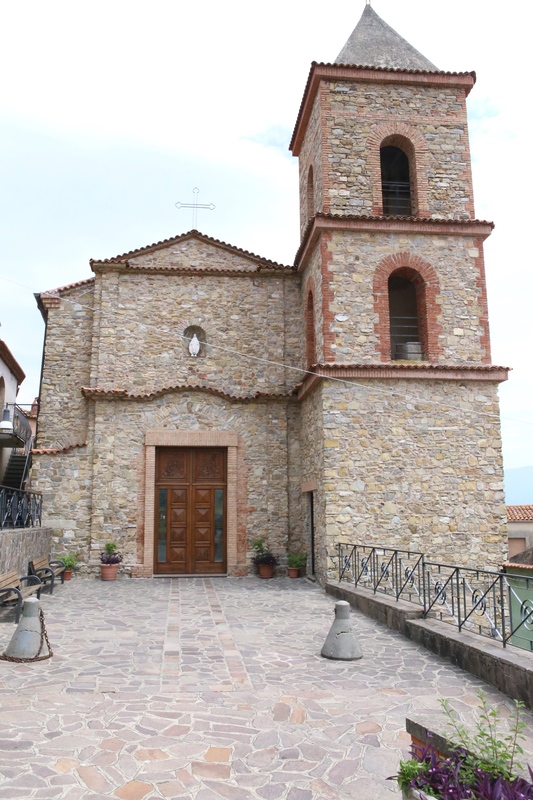 Post your pictures of your favorite Italian churches in the comments below. Is it Time for you to Take a Trip to Italy? Have you longed for a trip to romantic Italy? Have you dreamed about eating real Italian food? Do you long to see the museums or architecture? Maybe you have relatives there and just want to reunite old ties. What ever your reasons are, Italy is a great place to spend a vacation. After a week you are feeling relaxed and enjoying life. After two weeks you are totally relaxed, speaking some Italian words and loving the food. Longer periods in Italy will make you an Italian for life! The northern lake Area offers beautiful scenery overlooking the Alps or maybe Tuscany with its wines and romantic scenery. The large cities of Milan, Venice, Florence, Rome or Naples are great places to see Italians being themselves. They also are great for seeing living history. Look at the buildings the architecture and envision the people that built these great cities. Maybe southern Italy with its Amalfi coast and Capri or farther south into the Cilento National Park. Beauty unspoiled by man and pristine beaches. What is stopping you? If it’s being afraid of big tours or doing it on your own, we offer an alternative for the selective traveler to see what they want to see and spend as much time as the want. If you find a great Italian spot, the last thing you want is to be taken away by a tour bus. It would be wonderful to change your plans and just stay in your new found location. Italy is all about love, romance, beauty and spontanaeity. Italy creates many wonderful memories and experiences but you have to touch it! Get away from the crowded tourists areas and meet real Italians. See places that will change you forever. Don’t eat in tourists restaurants. These will be memories you will never forget. We have already seen a lot of Rome but there is so much more to do and see. Put your walking shoes back on because we will be walking more today. As usual we start our tour at the Trevi Fountain. Today we are headed to Vatican City. We normally do not take tours but the Vatican is a good place to take a tour. You can sign up at your hotel. Then just walk or take the Metro to the Vatican and join your tour. 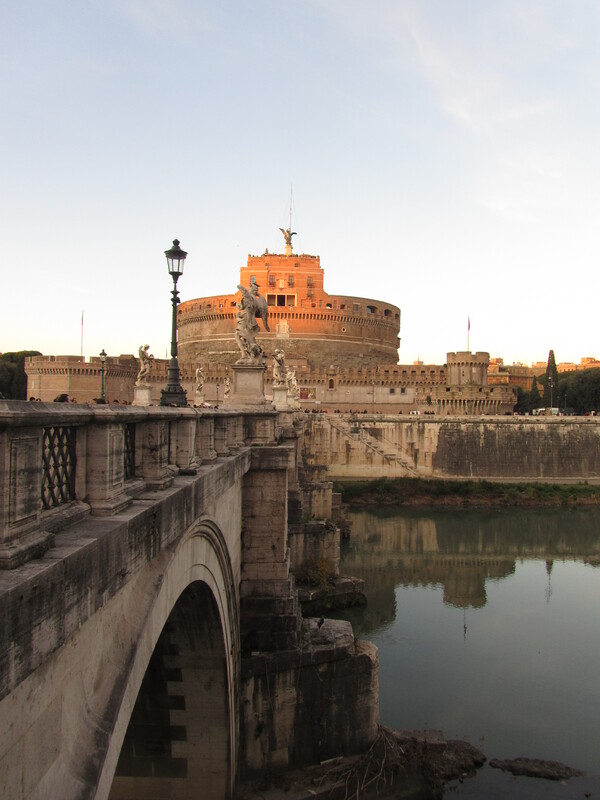 On our walk to the vatican we will first visit and cross the Bridge of Angels and then enter Castel di Angelo. GPS your way to the Bridge of Angels and the Castle of Angeles. You will see the Tiber River and the Bridge of Angels. As you cross the river look at each statue of an angel. The castle is directly on the other side of the bridge. Inside the castle climb to the top and be rewarded with views of Rome and Saint Peters. As you leave the castle turn right onto Via della Conciliation into Piazza San Pietro. There are many shops and restaurants along this road. The cathedral is right in front of you. If you have tickets for Vatican City tour, Go there first and you can exit the Sistine Chapel into Saint Peters Cathedral. Getting to the Vatican City Tour Entrance is about a mile from the castle. GPS it or take a taxi. 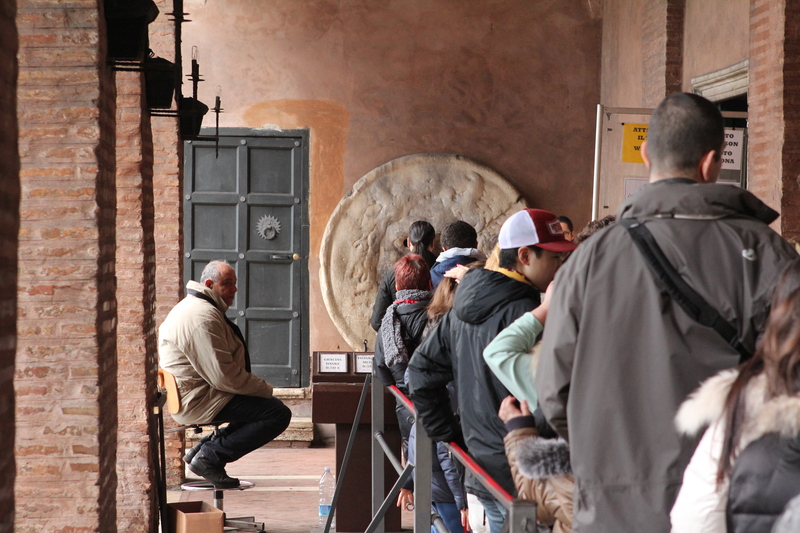 Inside the entrance is a ticket office where you can join a tour or buy a ticket and tour on your own. You will see many things here and the tour ends in the Sistine Chapel. You have a choice there to exit back the way you came or exit directly into Saint Peters Cathedral. Once in Saint Peters you can not go back. You will exit the church normally and be in Piazza San Pietro. The Castle of Angels is directly ahead on Via della Conciliation. Information on tours can be found here. From the Castle cross back over the bridge to go to Mouth of truth (Bocca della Verità). Set your GPS from the Castle to the Bocca della Verità. It is a about a mile and a half walk. It is outside a small church, Santa Maria in Comedian. The legend has it that if you place your hand in the mouth and it comes out OK, you tell the truth. If you lose your hand you are a liar. We saw many Italian women place their hands in and withdraw them successfully but most of the men would not do it. As always GPS your walk on you smart phone, take a taxi or the Metro. Roman is easy to get around. Always have your hotel name and address programmed in your smart phone. You can show a taxi driver the name or use the address to GPS your way back. Venice – What can we say about Venice? It is truly a unique place on this Earth. To visit a city with canals instead of roads is unique. There are small pathways for pedestrians to walk on. You can find large and small piazzas. Saint Mark’s Square is the largest. Rome – Rome is ancient with evidence of the early Romans everywhere. The Colosseum, Old Rome, Trevi Fountain, Pantheon, Spanish Steps, Villa Borghese and Vatican City are a few of its main attractions. Rome has many piazzas that full of flowers, statues and markets. 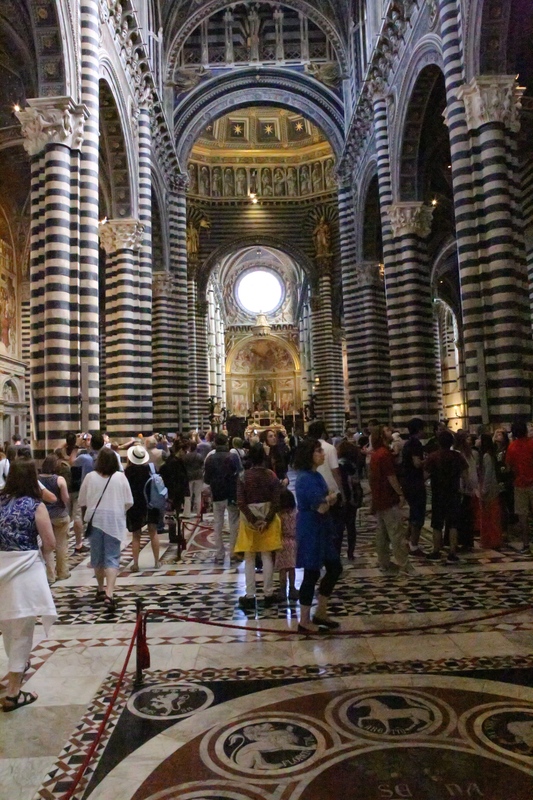 Florence – This is the true city of enlightenment. It is where the renaissance started. 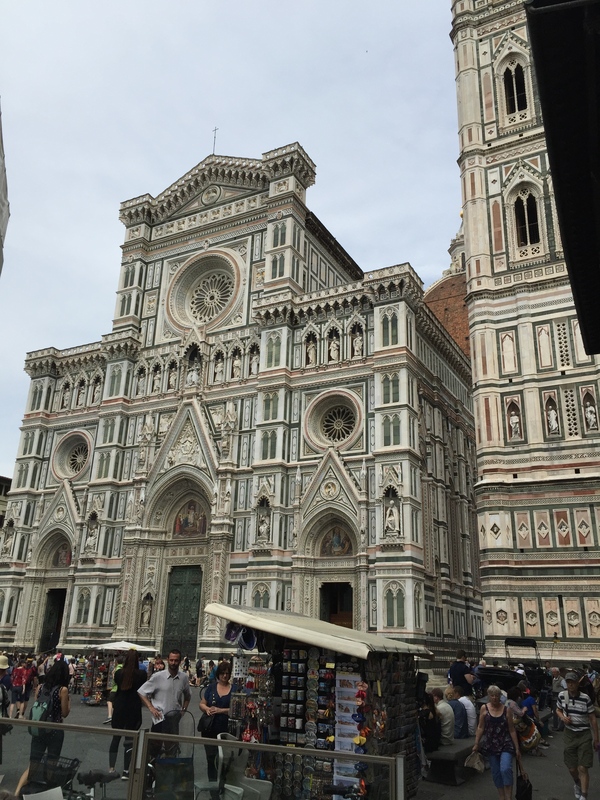 Attractions to see are Duomo, Ponte Vecchio, Uffizzi Gallery, Uffizzi Palace, The David Statue and the many piazzas like Piazza della signora. Siena – Siena is a big small town with a lot of character. 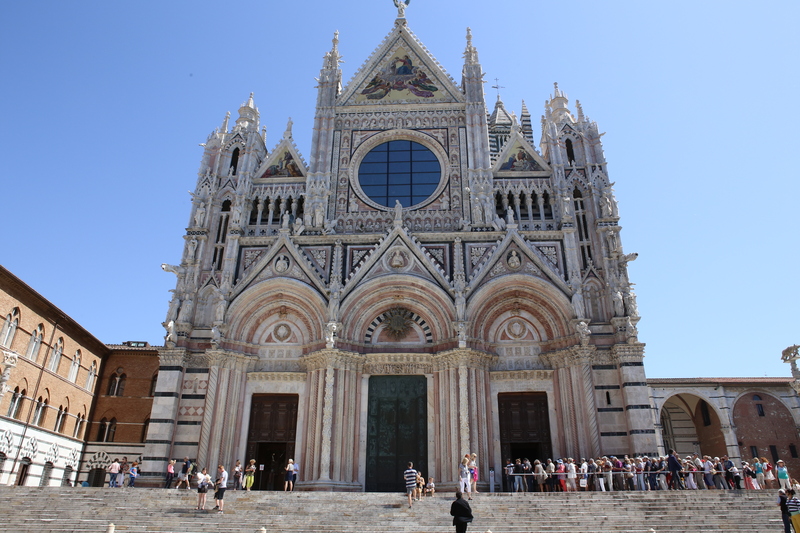 The duomo here is far more magnificent than its counterpart in Florence. Attractions here include Piazza del Campo where the annual horse race takes place (Palio of Siena), Duomo and its many churches. Siena has small streets with shops and great restaurants. Explore and enjoy it. Pompeii – This is not a current living city but a dead archaeological one. The original was Etruscan and then Roman before it was wiped out by a volcano (Mount Vesuvius) in 79 AD. It is just south of Naples and north of the Amalfi Coast. There are many homes you can visit here as well as hotels, shops and piazzas. Positano – This is one of our favorite cities in southern Italy. It is on the Amalfi Coast Road. This is a city of one road (one way down) and one million steps. It is not a place for the handicapped. Even staying on the road is a steep climb back up but there is a city bus that loops around from the bottom of this road. The two beaches are worth visits. Its restaurants and hotels are world-class. Most hotels have million dollar sea views. The Italian Lake District – Italy’s lakes are at the foot of the alps. With magnificent views and romantic small towns this is a must for anyone’s bucket list. The lakes are: Lake Como, Lake Maggiore and Lake Lugano, Visit the cities of Bellagio, Luzern and Ticino. Pisa – No trip should be without a visit to the famous leaning tower of Pisa. 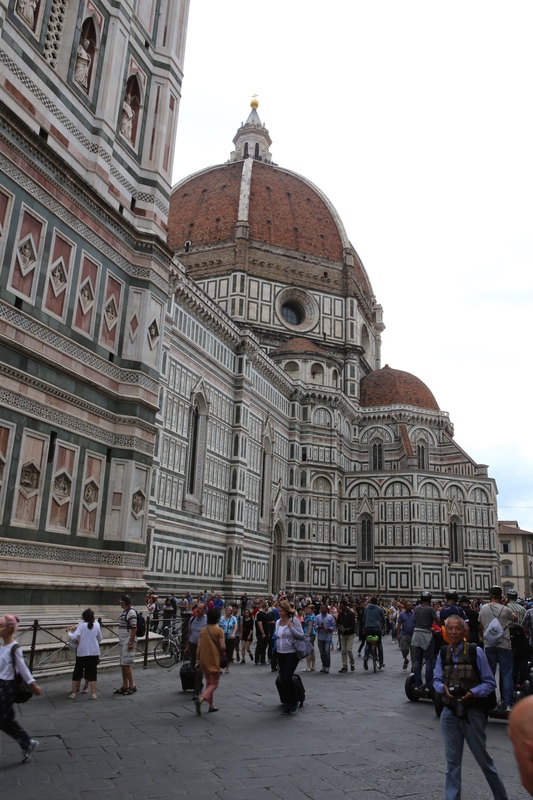 The duomo and baptistery near it are also worth seeing. Cinque Terre – The five lands! Here there are five cities on the mountain above the sea. You can take a ferry to some or train. There is a footpath between each town. These are very romantic with great views. 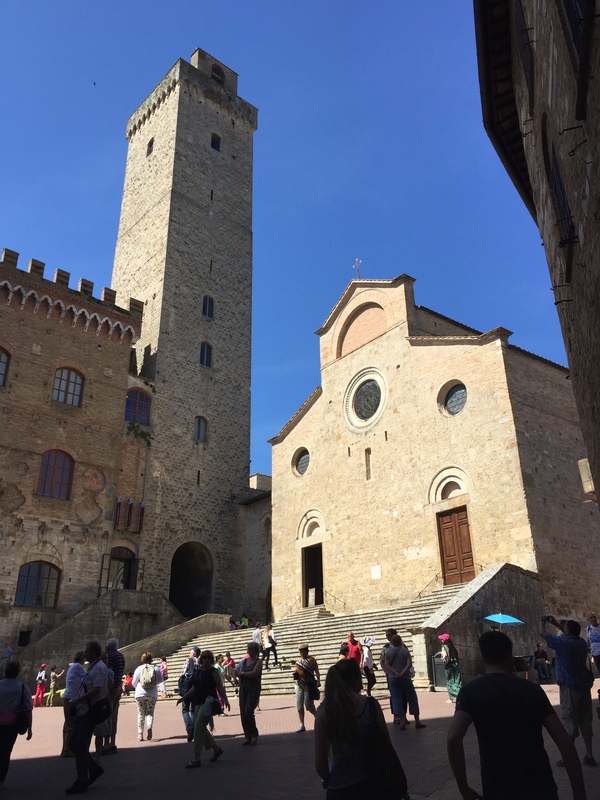 San Gimignano – This is our favorite town in Tuscany and maybe in the world. It is preserved from the middle ages. You park or get off your bus outside the city walls and walk in. You can easily walk this entire town. 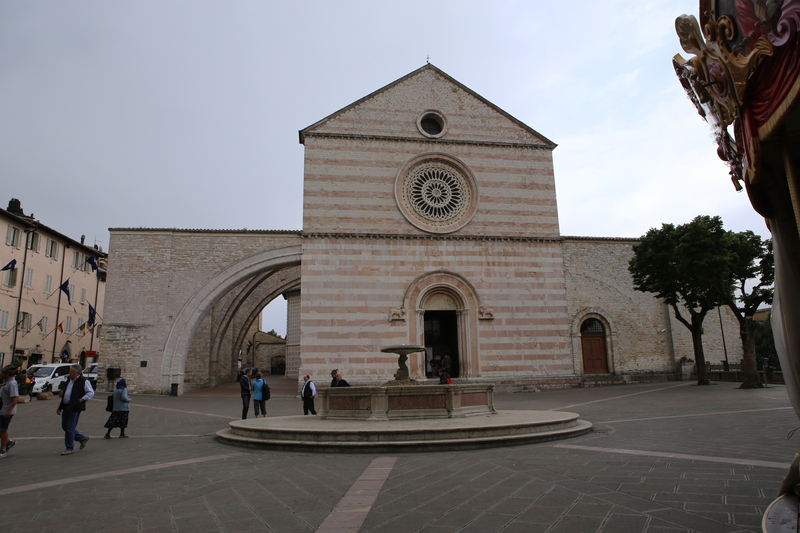 It has towers that used to represent power, a duomo, piazzas and great restaurants and bars. All of these and so many more should be on your bucket list. 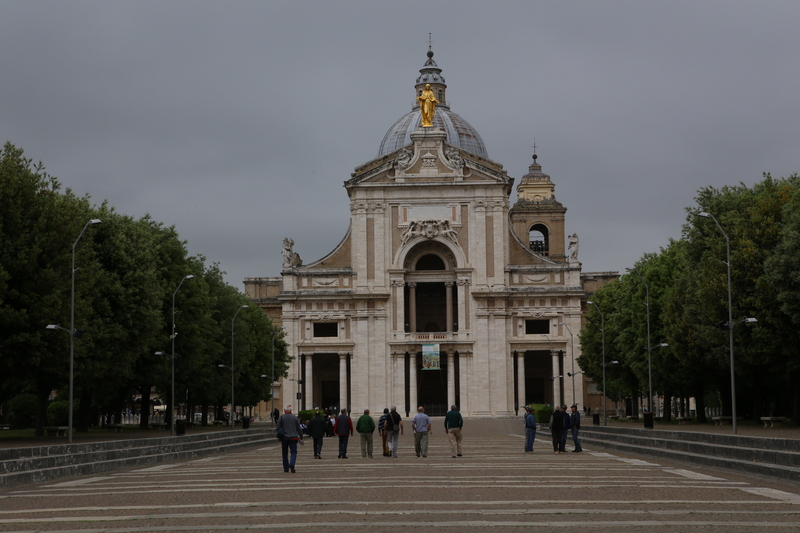 Tomorrow we will look at top places to visit in Italy’s south. Most tourists never make it here! 1) Great Food – There is no better food anywhere than in Italy’s family owned restaurants and Trattoria. As long as you stay away from the tourist traps, you can find great food. It takes time to prepare fresh made food so be patient. If you are in a hurry and don’t care about quality, eat at American Fast Food places or tourist traps. 2) Wine – Some of the best wine in the world comes from Italy. Names like Brunello, Barolo, Montepulciano and Chianti are world-famous. Local made wines in Italy rarely get bottled. These are from small production shops that sell the wine by the liter. In a restaurant, you order a ½ liter or liter and it comes in a pitcher. 4) Beautiful Vistas – Where better to see either mountains or the sea or both than Italy. Italy as a country had its origins from violent volcanic and seismic activity millions of years ago. Its mountains are very rugged and steep. Some are very difficult to cross. Its beaches are magnificent. Some are rocky rather than sandy, some are from volcanic ash and others are soft white sand. There are mountain towns everywhere. Taking the Autostrada south from Rome to Naples, one can see hundreds of mountain towns. They are just waiting for you to explore them. 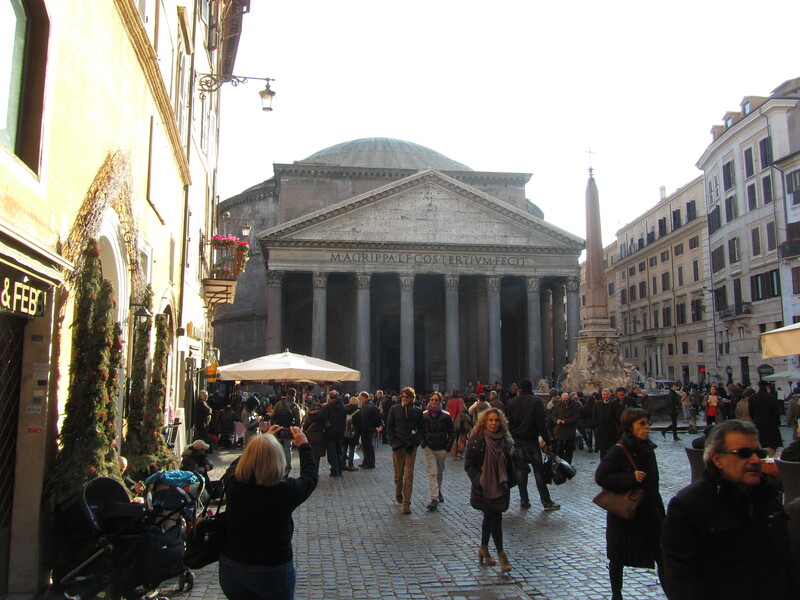 5) Historic Sites – What is more historic than old Rome. Imagine walking on the same cobblestones as the Romans did. Seeing the Coliseum is breathtaking. Venice is the most unusual city in the world. It is built on millions of tree trunks sunk in the mud under water. 6) Friendly People – Italians are very friendly. They love to talk to tourists. They will be even more friendly if you try to speak some simple words or phrases in Italian. Many can speak English as well. Italy is romantic, unique, full of adventures, to be enjoyed slowly and waiting for you. What are you waiting for?